If they were to be honest, most investors would tell you they don’t really like negotiating. They would also tell you they aren’t terribly confident when it comes to the whole negotiation process (especially in the beginning). However, this is one of the most important skills needed to be successful as an investor. 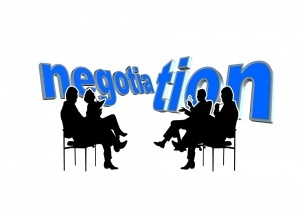 When the subject of negotiation comes up, there are inevitably some people that will tell you negotiation comes easily for them and I’m sure that is true. However for most people, that just simply isn’t the case. We aren’t born to be good negotiators; it’s a skill we develop. Whether it is easy or not, the negotiation process is something that everyone can learn with a little practice. My first time might be called a “failure to launch”. When I bought my first property I wasn’t even able to negotiate the deal. I was terrified. The person selling the house was a member of my REIA group; a man known to be a very intimidating “in your face” investor. I was at least smart enough to know I didn’t stand a chance against him. So I did what a lot of newbies would do, I had someone else do my dirty work. A realtor friend from that same investor’s group negotiated the deal for me. When the seller (who was also an investor) wanted to talk to me personally because he didn’t like the way the negotiations were going with the Realtor, I was so scared I refused to talk to him. I was pretty sure it wouldn’t end well for me. After a little “back and forth” on the price, my realtor friend AKA the negotiator refused to back down, and I got my first deal at the price I wanted to pay. Watching her in action was when I learned how to stand my ground with this type of investor. I never had to have someone else do the negotiating for me after that first time. Things are different now. I don’t have any problem negotiating deals today, but it was a learning process that a lot of new investors will need to work through. Do I like negotiating? Not really. An investor friend told me something a long time ago that I have always remembered. We were talking about negotiation and he said, “If you are not embarrassed or at least uncomfortable by your (low) offer, then you have just offered too much for the property”. That was a lesson I have never forgotten. Simply put, negotiation is when two or more people try to reach an agreement about something. When you are a real estate investor this will almost always involve the sale of a property. Negotiation is not only about money. It might be about “terms” or something else the seller needs. Regardless, at the end of every negotiation, both parties should feel like they won. When everyone leaves the table feeling good you have just completed a successful negotiation. There are times however when you just can’t make a deal come together. I have learned over the years that when this happens it’s usually for the best. When you are dealing with someone that has a large list of objections, can’t make a decision, or you just can’t seem to reach an agreement with them, this is almost always a red flag. This is the same person that will either have buyers’ remorse after signing the contract or you will hear from a hundred times after the closing. No matter how you feel about negotiation, I have some tips that will make the whole process a little bit easier. Always do your homework. Whether you are buying or selling a property, know what the comps are for the area. Know your numbers. How much will the repairs cost? (no guessing here) What is a realistic ARV (after repaired value) for the property? 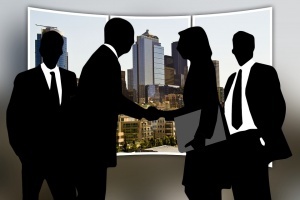 Having all of this information will be invaluable as you try to negotiate the deal. Know your desired outcome. Knowing what you must have from the negotiations is essential. What’s more important to you; the price or terms (or a combination of both)? What is your exit strategy? You need to know what this is the day you buy the property. Your exit strategy will affect how much you can pay for the property. Find out what the seller really needs or their true motivation. Be prepared to really listen to the other person. In addition to the cash, is there something else that they really need? Closing Costs? Moving Expenses? Maybe they just can’t face cleaning out “mom’s” house. There are many times the seller will take less money for the property if you can solve another problem for them. Don’t beat up the other person to get your way. There is a give and take in any negotiation. At the end of the day, both parties need to feel like they won in any negotiation. Remember that getting top dollar may not be what they really need to feel like they “won”. Remember that most great deals are created, not found. The money is in the follow up. Sometimes negotiation takes a while, so follow up with all those sellers that say no. In many cases no just means, “not now”. This brings me to my next point. Know when to walk away! As Kenny Rogers says in his song The Gambler: “You have to know when to hold’em. Know when to fold’em.” I’d say that is pretty good advice when it comes to real estate. Sharon Vornholt is the owner of Innovative Property Solutions in Louisville, KY. She has been investing in real estate for over 15 years. 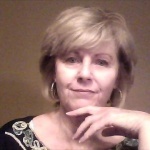 Sharon is the creator of the Louisville Gals Real Estate Blog, and the popular podcast “Let’s Talk Real Estate Investing” which you can find on iTunes. She is also a mentor and coach who loves teaching others how to succeed in this business. For your FREE REPORT “Probates and Absentee Owners: Your Fast Track to Real Estate Riches”, stop by her blog at: http://LouisvilleGalsRealEstateBlog.com.